Like this craft? Make sure that you bookmark this page or pin an image so you don’t forget about it! Plus keep reading for the instructions as well as some lovely winter books for kids and some more of our favourite winter crafts. 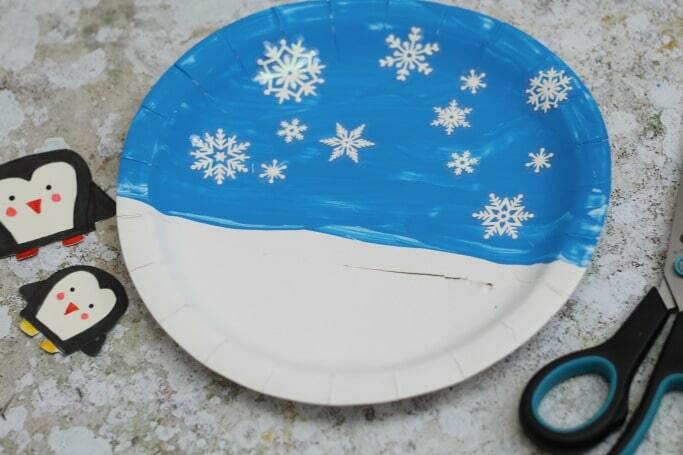 Start by painting a paper plate leaving the bottom half of the plate white for the snow and painting the top half blue for your sky. You could add some clouds if you liked. Next stick your snowflake stickers on, mine are from Lidl but these ones look pretty similar. If you don’t have any stickers then you could try drawing them on with a white pen instead – I find chalk markers normally work best for this as they’re good for painting over other colours. Using your scissors then cut a line along the middle of your paper plate, this shouldn’t reach either endand you’ll need to put some playdough under your plate as you push the scissors through. 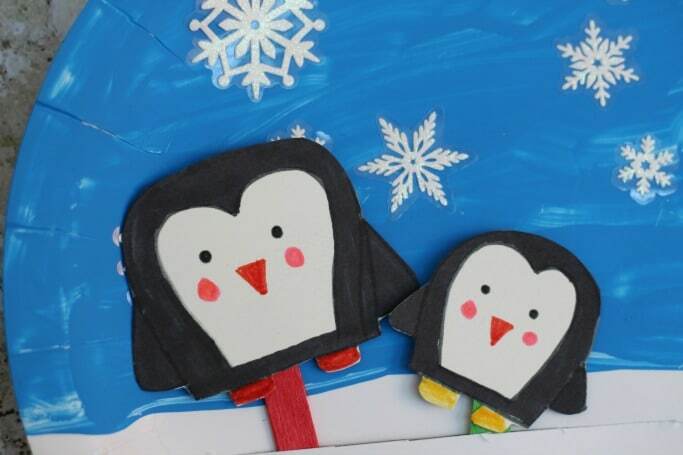 Draw a penguin on white card using some felt tip pens. 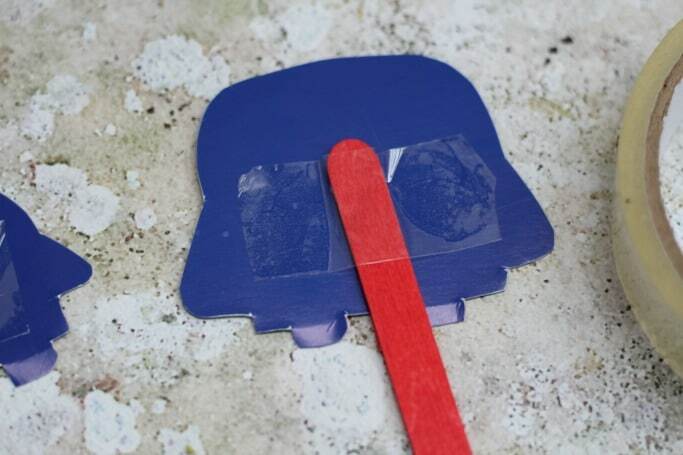 Cut the penguin out using scissors and then stick a craft stick onto the back using selotape. 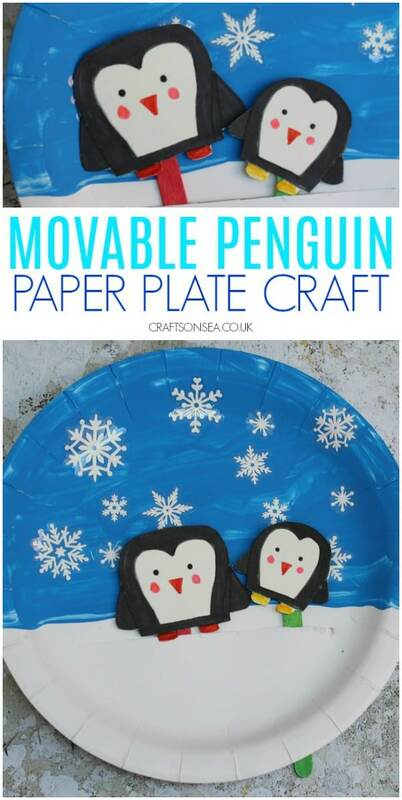 I was originally only going to use one penguin but I couldn’t decide which one I preferred – we watched Happy Feet last week so this little craft is good if you’d like to make a little Mumble and Gloria! 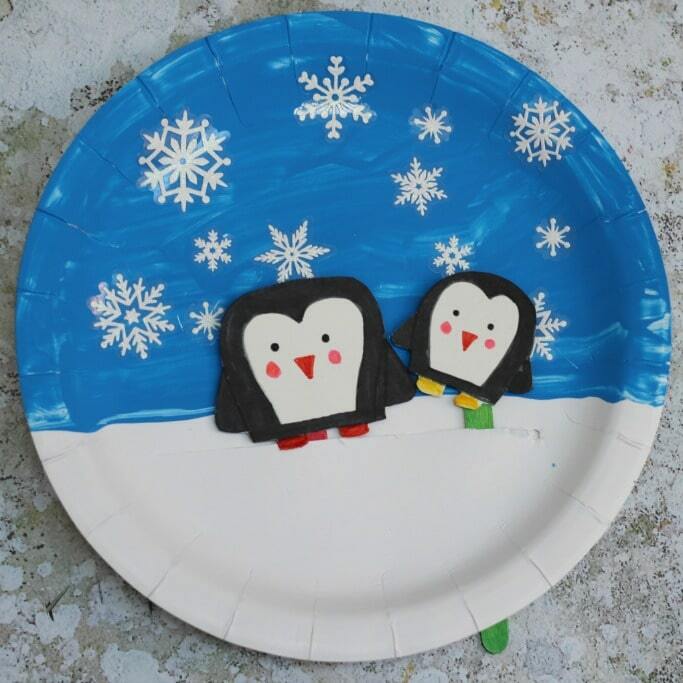 All that’s left to do is thread the craft sticks on your penguins through the gap in the paper plate and they are ready to dance and play. When it’s cold outside I’m more than happy to take the excuse to stay indoors and snuggle up with my kids to share a book together and these winter themed ones all look great. 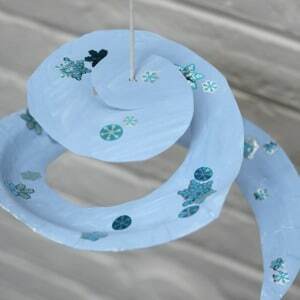 We’ve also got loads more paper plate winter crafts for kids here – why not try out this snowflake paper plate twirler that’s great for practising scissor skills? 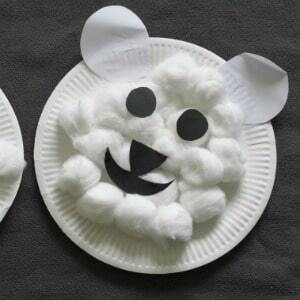 Or these paper plate polar bears are easy enough for younger kids to make too. 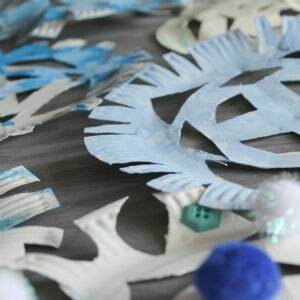 Finally these paper plate snowflakes make great decorations and they’re good fun to decorate too. This are absolutely darling – I’m sharing this with all of my Momma friends!